A leaked report about the plane forced to land at Vancouver International Airport in October, after as many as 25 crew members fell ill, reveals the situation appears more serious than initially presumed. Eight or nine British Airways crew members on the upper deck – including the captain – used emergency oxygen, according to an internal report written by the head flight attendant and leaked to U.K. newspaper The Sunday Times. All 25 crew members were taken to three local hospitals for dizziness, headaches and nausea. The report details more alarming symptoms, including aggression, forgetfulness, confusion, and the inability to think straight and converse in a normal manner. Bizarre behaviour was also described in the report, including the crew curled up in corners on the floor with blankets over their heads. Members of the crew also stuffed food into their mouths while on oxygen, according to the report. The double-decker airliner bound for London was over Saskatchewan on Oct. 24 when passengers were told the plane would make an emergency landing in Calgary. That was changed to Vancouver to accommodate the massive Airbus A380, which can hold up to 469 passengers. It was unclear how many passengers were on board at the time. "We had done a complete U-turn and I was just like, 'What is going on here? '” said passenger Dan Hemmings at the time of the diversion. Anxious passengers from Flight 286 said ambulances, firefighters and police were waiting when the massive Airbus A380 landed at YVR just hours after taking off from San Francisco. Health officials told CTV News in October some of the crew complained of feeling sick after smelling fumes. After the emergency landing, passengers complained of being kept in the dark throughout the harrowing experience. "Finally after about a half hour of being seated on the plane and waiting we were allowed to disembark," passenger Liz Keller said at the time. "It was very odd and there wasn't really much of any explanation of what was going on." “People started panicking… A woman in the seat next to me she was crying. People started to feel not very well,” said Claire Moss, who was on the flight. No passengers were taken to hospital, and they waited hours to be checked into a hotel or booked on other flights back to U.K.
British Airways says the Airbus A380 was inspected, and they found nothing wrong with it. "Our highly-skilled engineers inspected the aircraft in Vancouver and carried out further tests on its flight back to London. 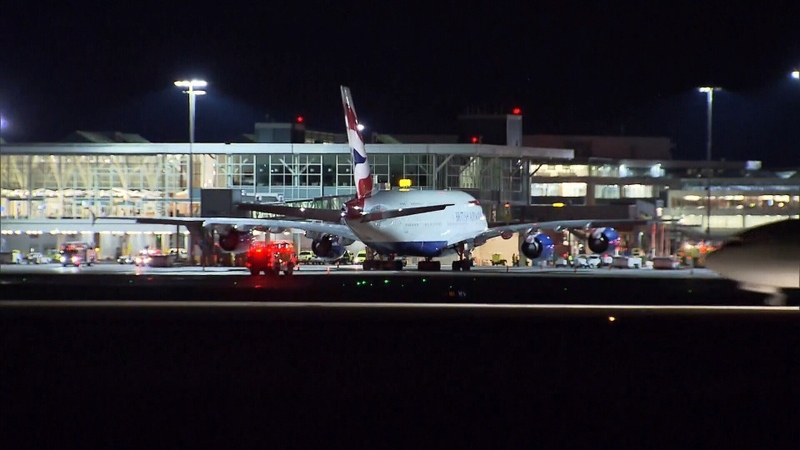 No fault was found,” a British Airways spokesperson said in an email to CTV News. "The safety of our customers and crew is always our top priority. We have shared our detailed and thorough investigation with the CAA and fully comply with all safety regulations." The government investigation is still ongoing. A leaked report about the plane forced to land at Vancouver International Airport in October, after as many as 25 crew members fell ill, reveals the situation appears more serious than initially presumed. (CTV News).